Our best seller and an established classic. The strength of this range lies in its reliability and simplistic design. •	Exceptional styling complements any environment. 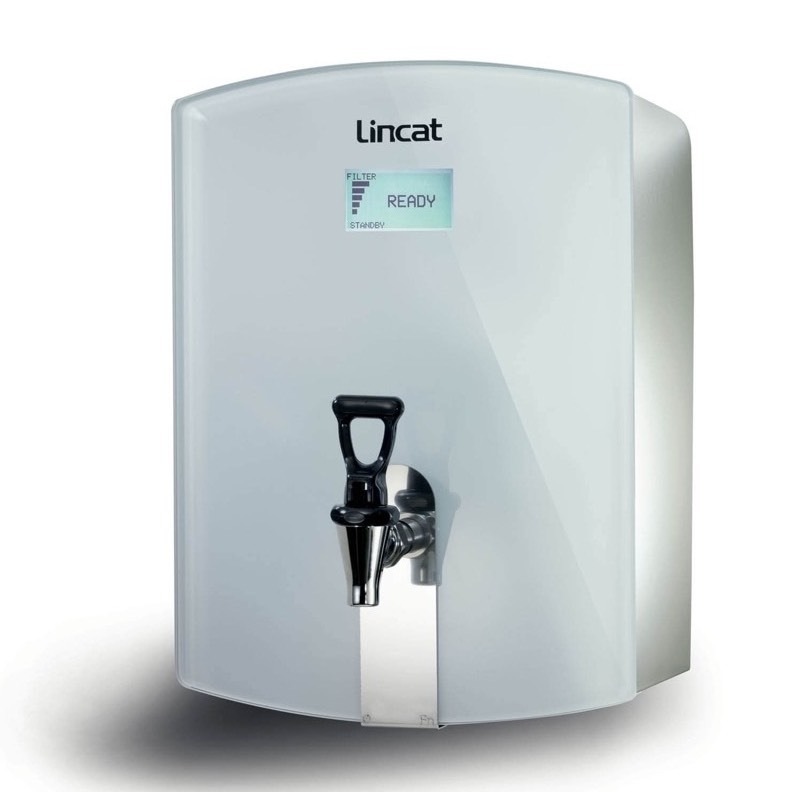 •	Push button taps away from the dispensing point for improved hygiene. •	3 colours silver, black or white livery. •	Floor Standing or Table Top. 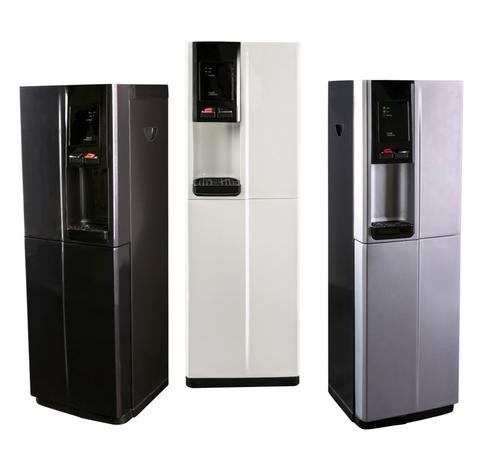 •	Ambient & Cold or Hot & Cold model options. •	Robust build that’s easy to keep clean. 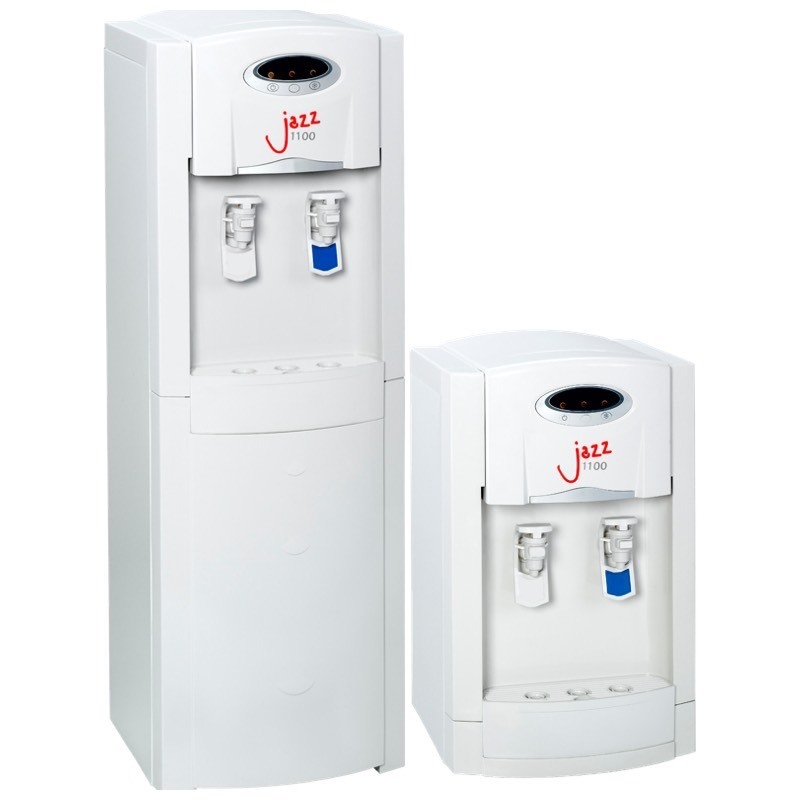 Cooling System: Stainless steel 3.0 litre cold water tank. Thermostatically controlled. 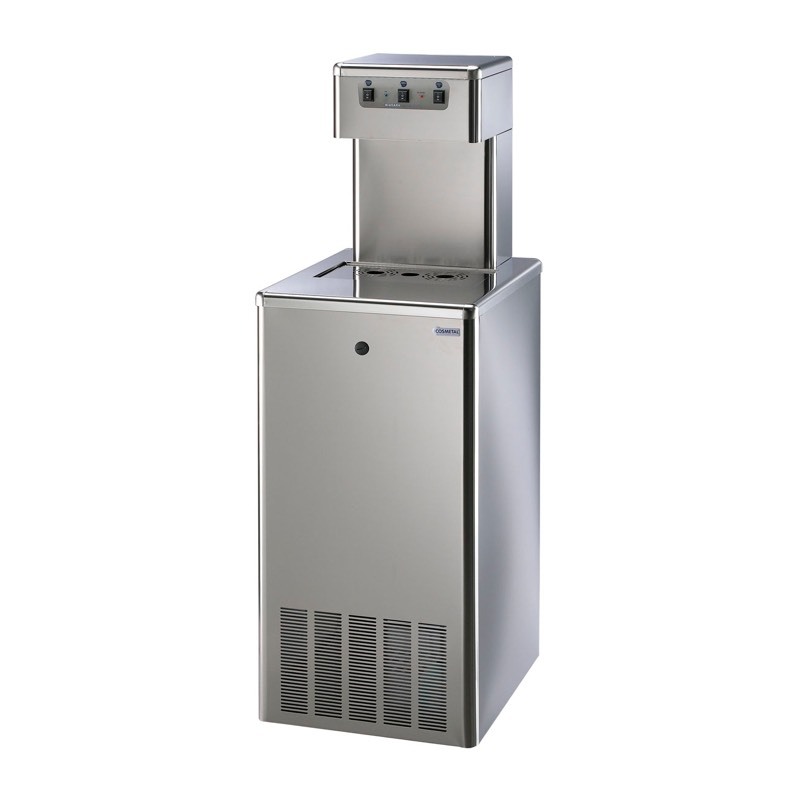 Refrigeration: Quiet, air cooled static-type condenser. No fan required. Protected against motor overload. Unit hermetically sealed. R-134a refrigerant. Standard Wall Bracket for additional stability. - Please call for further information. Complete Rear Cover System. - Please call for further information. Drip Tray Auto Drain Away Conversion kit. - Please call for further information. 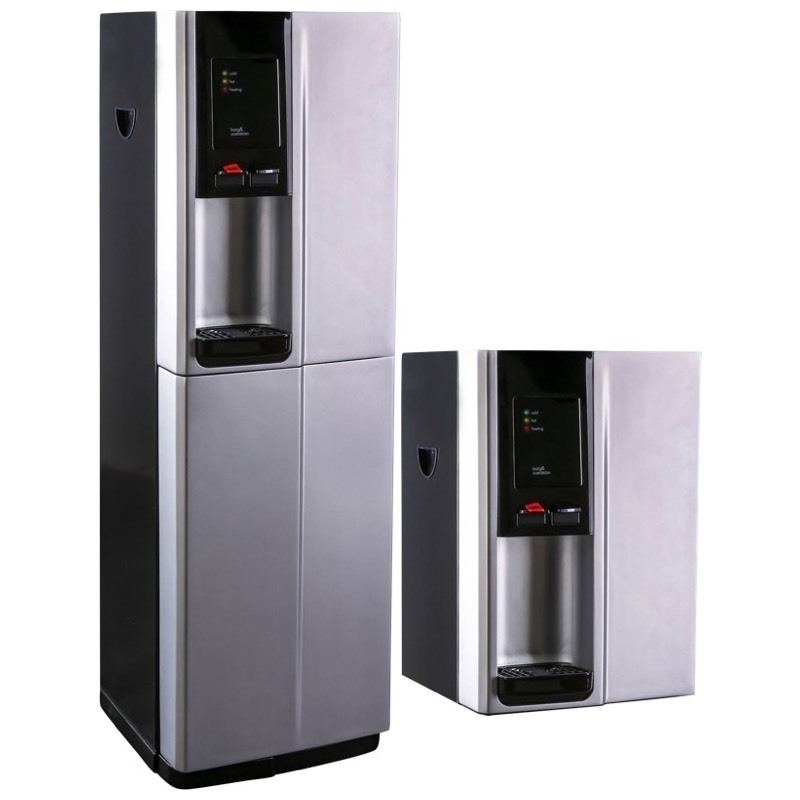 •31 litres of piping hot water every hour. •Sleek glass finish for front-of-house position. •Compact design when space is limited. 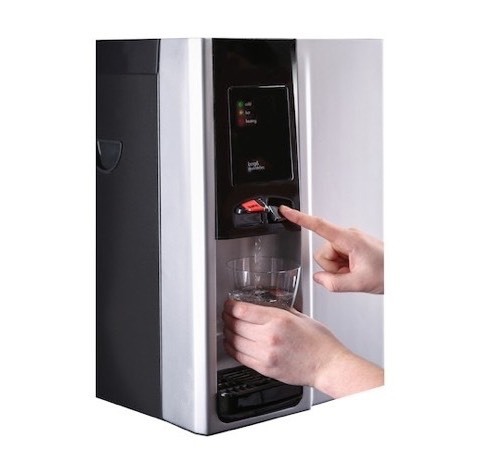 •Built-in filtration for great tasting drinks.